– but the bibliography does not provide references for anyone interested in learning more. There is a great gap in really informing the reader of the astounding diversity of life in Sabah, although hints and passing mentions are made. 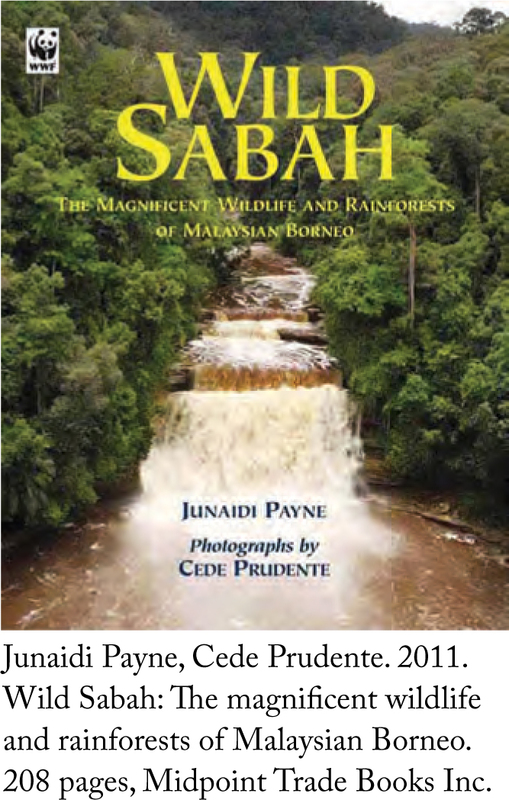 The greatest weakness of the book, to my eyes, is the mostly positive, almost rosy, picture of conservation painted for Sabah. None of the major threats seems big enough to evoke the authors’ attention (in words or photos): oil palm, logging, hunting, tourism, roads, and development. Everything seems to be under control, and easily and well managed or manageable, in this book that carries a preface by the Chief Minister of Malaysia and foreword by President of WWF Malaysia. Only the Sumatra rhino’s plight appears serious, to the reader, and that too can be ‘managed’ through captive breeding, it seems to suggest. This is a book that can grace the coffee table, barely. The section describing the various natural areas of interest to naturalists in Sabah are useful overviews.